Kerim is an expert in conflict resolution, peacebuilding, international human rights law and minority rights, having worked on numerous projects in these areas over his career. He was formerly co-founder and Chief Executive of the Kurdish Human Rights Project. Kerim has received a number of awards, including from the Lawyers Committee for Human Rights for his services to protect human rights and promote the rule of law in 1996, and the Sigrid Rausing Trust’s Human Rights award for Leadership in Indigenous and Minority Rights in 2005. 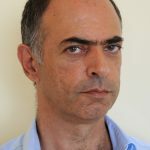 Kerim is also a recipient of the 2011 Gruber Prize for Justice. He has extensive experience in human rights and actively works to raise awareness on human rights violations worldwide assisting with many cases to the European Court of Human Rights, conducting training seminars in Europe and the Middle East, and regularly contributing to seminars and conferences. 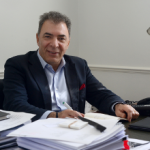 Kerim has also written extensively on human rights issues, including numerous essays, articles and chapters on freedom of expression, national security and minority rights, as well as books relating to the European Convention, the United Nations and OSCE mechanisms. He has written books on the Kurds in Iraq, Iran, Syria, the Caucuses, Turkey and the diaspora and he has most recently co-authored ‘The Kurdish Conflict: International Humanitarian Law and Post Conflict Mechanisms’ (Routledge, 2010). His work has been translated into numerous languages, including Turkish, Finnish, German, Spanish, Russian, Kurdish, Arabic and Persian. Kerim also serves as a Board Member and Advisor to other human rights and environmental organisations and is an advisor to the Delfina Foundation. Kerim is a member of English PEN and is a founding member of Ara Pacis Initiative. Ville has worked in human rights in Turkey between 2001 and 2017, including as Director for Amnesty International’s Turkish Section and as Head of Office for the Raoul Wallenberg Institute Turkey Programme. 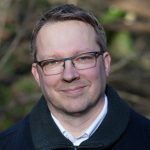 His educational background is in Public International Law and Human Rights Law, holding an MA in the former from Åbo Akademi University in Åbo, Finland. Apart from management work in human rights organisations, Ville has worked in other organisational roles in them and carried out consultancies in the area of human rights, peace and democratisation. Part of his work has been related to overcoming divisive post-colonial heritage and societal polarisation for the benefit of human rights and peace work across constituencies. Work to overcome religious and belief divides are part of such work. In addition to her role as Head of Turkey Programme at DPI, Esra is co-founder of İstanbul Bilgi University Centre for Conflict Resolution Studies and Research. She received her PhD in Sociology from École des hautes études en sciences sociales (EHESS) and Political Science (Department of Conflict and Development Studies) from Ghent University. Her publications cover areas such as Turkish modernisation, internal migration, civil-military relations, sacralization of politics and the history of Turkish media. Esra’s 2007 book, ‘My Dear Atatürk’, examines the way in which primary school students in Turkey perceive Atatürk, Turkey’s founder. 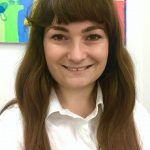 Sophie joined DPI in August 2017 as Senior Programme Officer. She supports the CEO as well as the Deputy Director on day to day activities, programme related activity and communication. Before joining DPI, Sophie worked as Programme Manager of two development projects in Zanzibar, Tanzania and as Programme Assistant for a local NGO in Zambia. She also worked for Germany’s leading international development agency GIZ and focused on activities and tasks around Education in fragile and conflict affected States as well as Refugee Education. Sophie holds a MA (Distinction) in International Development and Education from Newcastle University and focused on language and identity issues in Namibia for her dissertation. She also researched minority rights in education, with a special focus on mother tongue education and is fluent in German and Greek. David joined DPI in November 2017 to take up the Project Officer role. He oversees the organisation and running of DPI events as well as coordinating its many research publications and post-event transcripts. David holds an MSc in International Relations from the University of Edinburgh where he specialised in the peace-building processes in post-conflict Kosovo. David also possesses a thorough knowledge of Wales’ system of devolution having worked as a researcher for a public policy-based conference company. 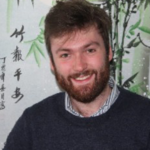 During his time as an intern at UN House Scotland, David contributed to numerous activities and events designed to promote the 17 Sustainable Development Goals before taking up the role of Database of Expertise Coordinator where he sought to widen the contact base for leading thinkers and academics in the field of human rights and international relations in Scotland. Ulpjana Ruka joined DPI in March 2018. As Programme Officer, Ulpjana provides support to the CEO and to the organisation in terms of administration, logistics and research. She previously worked as an events coordinator for a public affairs and communications consultancy in London. She has experience working in national and international institutions. 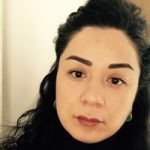 She was a trainee at the UN Office of Drugs and Crime in Vienna and also interned at the Ministry of European Integration in Tirana, where she provided support to the Head of Department for Justice, Freedom and Security. Ulpjana holds a BA in International Relations from Queen Mary University of London and a MA degree in Conflict, Security and Development from King’s College London. Her academic work mainly focused on the legitimacy of the humanitarian intervention in Libya in 2011 and the implementation of DDR after the Libyan Revolution. John Bell has worked for over two decades on Middle East politics, policy development and mediation in Cairo, Beirut, Gaza and Jerusalem. In addition to his role as Senior Policy Advisor for DPI, John also works with the Toledo International Centre for Peace (CITpax) in Madrid and the Crisis Management Initiative in Helsinki. He was formerly Middle East Director in Jerusalem for Search for Common Ground. John is a former United Nations and Canadian diplomat who served as a political officer at Canada’s embassy in Cairo, a member of Canada’s delegation to the Refugee Working Group in the peace process, Political Advisor to the Personal Representative of the Secretary-General of the United Nations for southern Lebanon, advisor to the Canadian Government during the Iraq crisis in 2002-03, and consultant to International Crisis Group on developments in Jerusalem in 2004. He has lectured on Middle East issues at the University of Toronto in Canada, IE Business School in Spain, and at the Canadian Foreign Service Institute. Mr. Bell is fluent in English, Arabic and French. Dieu obtained her Master of Commerce in Banking and Finance from University of New South Wales (Sydney, Australia) in 2007. Throughout her career Dieu has worked for several charities, including Urban Roots and Computer Aid. In her current role as Finance Manager, Dieu works closely with the Board of Director and the Head of Development & Funding to recommend and implement improvements to financial policies and procedures, IT systems and facilities. Dieu also has extensive experience of managing multiple complex international grants. Claire joined DPI in August 2017 and as Head of Development and Funding is responsible for identifying and pursuing funding streams for the organisation. Her role encompasses liaising with funders and stakeholders, writing applications, and monitoring and reporting on implementations of projects. 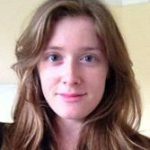 Claire holds an MA in Intercultural Communication with International Business and speaks French and Spanish. She has an in depth knowledge of EU funding following a period working in EU affairs in Brussels which began when she was selected for the Blue Book Traineeship at the European Commission. While at the Commission she also gained experience as an advisor for grant applications. During her time at the British Council, the UK’s international organisation for cultural relations, she was part of the EU Team and supported advocacy and the pursuit of EU funding opportunities as well as working on various EU funded projects. Saniye has been working with DPI since 2011. She is a graduate of Dicle University Law Faculty in Turkey. Between 2000 and 2006 she practiced as a lawyer in the areas of criminal and human rights law in Diyarbakir, Turkey. During this time she also participated in numerous voluntary activities of the Diyarbakir Bar Association, the Contemporary Lawyers Association and the Human Rights Association’s Diyarbakir branch. After completing an LL.M. 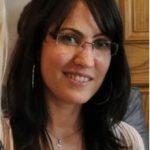 in Human Rights at Birkbeck College, University of London, in 2007 Saniye worked at the Kurdish Human Rights Project as a Legal Associate until 2011. She is a researcher at the International State Crime Initiative where she was involved in a project titled ‘Civil Society Resistance to State Violence and Corruption-Comparative Study’. 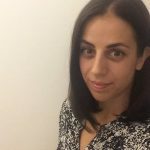 She has also contributed to failibelli.org, a website dedicated to monitoring cases opened against perpetrators of crimes committed by state security officers in Turkey. Lenka McNamara joined DPI in March 2018 as Operation Support Officer and provides support to the Senior Programme Officer as well as the Deputy Director on day to day activities, administrations and logistics. 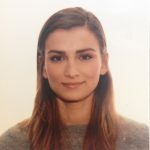 Lenka is a MA student of International Peace Studiest at Trinity College Dublin and already holds a masters degree in Public and Political Administration from Danubius University in Slovakia. 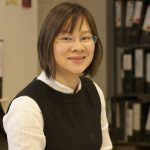 Before joining DPI, Lenka worked as a Research Assistant for MCER based in West of Ireland focusing on international education activities of universities, assistance with oversees activities, maintaining a database of higher education indicators and assistance with developing research proposals. Before that she worked as an events and marketing coordinator for a private company based in Slovakia, planning and marketing of conferences and entertainment events for clients in Slovakia.